We are out this week enjoying several days of camping with several other families from our street and our school. 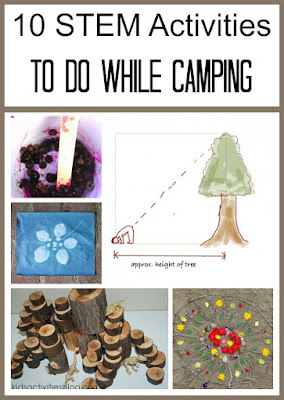 Camping presents a wonderful opportunity for kids to engage all five senses and connect to nature, but they can also learn a lot while they are at the camp. 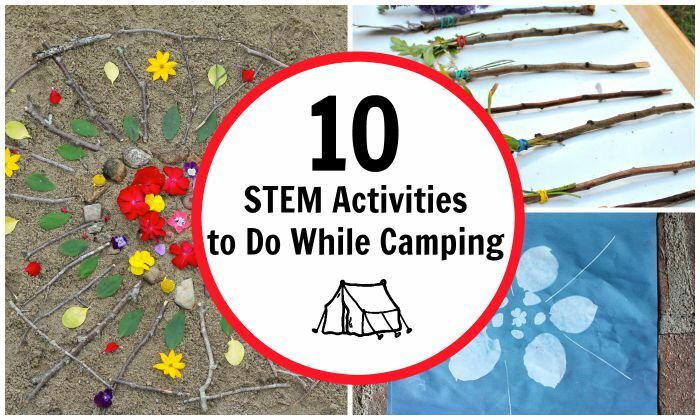 That’s why I put together this list of 10 STEM activities that kids can do while camping. This activity of making paint from berries from ThrivingStem goes hand-in-hand with natural paintbrushes, especially if you didn’t bring paints to camp. The obvious disclaimer is that children should be instructed not to eat any berries without clearing them with knowledgeable adults first and to wash hands thoroughly after making paint from inedible plants. I just love this activity from Crafting Connections – making mandalas is a great way to combine art and math, and it also nourishes imagination and calms kids down after a long day of playing. 4. How Tall Is a Tree? This is a fun activity from Science Sparks to try and measure the height of a tree. Older kids might attempt to explain why it actually works. A rock collection might be a dangerous hobby unless you have a lot of space at home, but it could also be a very fun activity during camps to look for unusual rocks. Just remember that many parks, at least in the United States, have “take only memories” policy, so you might want to check the rules on collecting anything and set correct expectations with kids in advance to avoid disappointment. The Inspiration Laboratories has a great post on how to start a rock collection even with most ordinary rocks. Look for symmetry in nature around you and make your own design with natural materials on sun sensitive paper – Buggy and Buddy. Sadly, we don’t have fireflies where we live or go camping, but there are ways to attract and observe moths or fireflies. Summer nights under the open sky are the best. If you are not strong in astronomy (and want an excuse to reconnect with your device), these astronomy apps reviewed by iGameMom can help identify planets and constellations. Stargazing (without this ubiquitous device glow) is one of my own cherished summer memories from childhood! 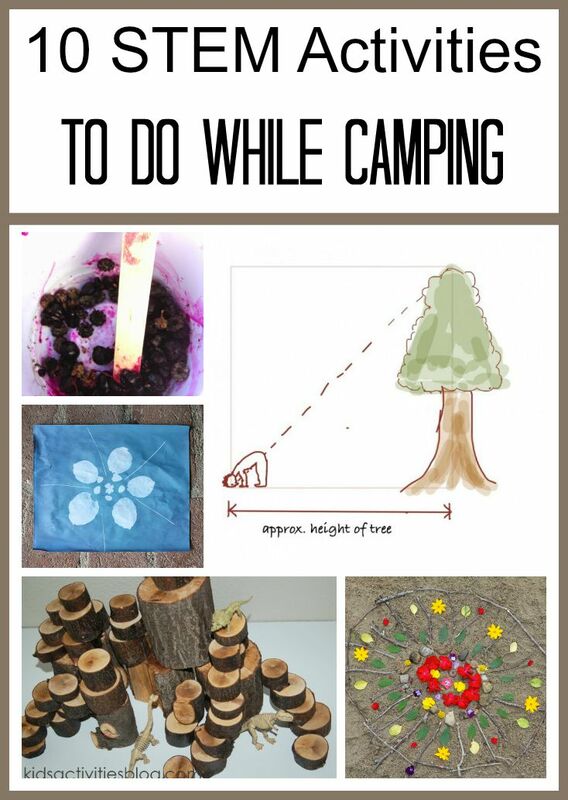 What are some of your favorite ways to spend time while camping? Follow my Outdoor Fun Pinterest board. Follow Natalie Planet Smarty Pants's board Outdoor fun on Pinterest. I've never had any good luck with trying natural paint brushes with kids, but those ones look much sturdier than what we tried.